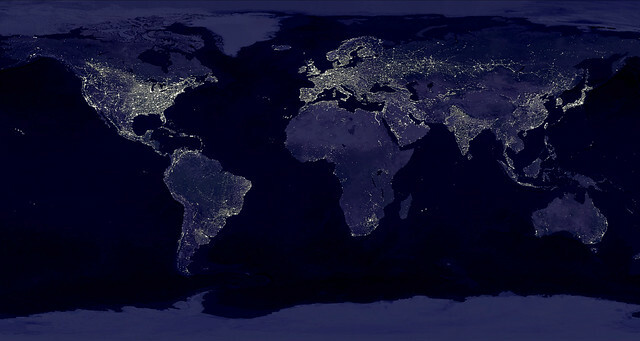 The Night Lights of Planet Earth | Flickr - Photo Sharing! This remarkable image is actually a composite of hundreds of images created using satellite data collected at night. The Earth Observatory article Bright Lights, Big City describes how NASA scientists use city light data to map urbanization. iceindymusic, |||-_-_-|||, and 116 other people added this photo to their favorites. wow, that s quite interesting! My name is Lucy and I'm a writer for Super Eco. We'd like to use your picture in this story: www.supereco.com/company/pangea-organics/ It is excellent and will compliment the story very well. Please email me if you have any objections or concerns: lucy.meskill@gmail.com. Thank you!!! This is an excellent photo!!! Thanks for posting this under a free licence. I've used it with attribution as part of my tutorial on the Shavian alphabet. Thank you, the image is amazing view of just where energy is used in the world. 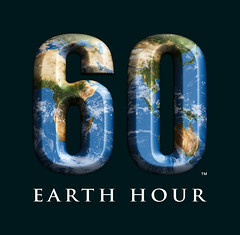 I plan to use on www.solar-heating-today.com page energy conservation first. Hello! Would like to request for permission to use this splendid shot of yours in a Singaporean travel agency website. I will link the photo to your photo stream and include credits wherever it's due. Hope to hear from you soon! Woul like to request permission to make a banner from this pic. Hi, Would like to request the use of this photo please for a media website.